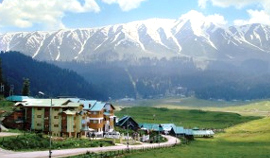 The ageless beauty of Gulmarg reflects the purity of nature. 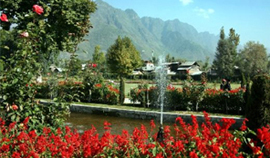 This small yet magnificent town is haven for the adventure seekers and a paradise for nature lovers. Toddle along the vast stretches of flower-clad meadows and sway through the alpine mountains replete with snow. Gulmarg invokes adventure instincts and at the same time offers a refreshing ambiance to retain peace of mind- it is a perfect melange to savour the taste of real Kashmir. 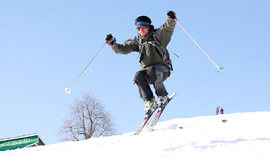 The ‘Heartland of Winter sports’, Gulmarg is where all the excitement takes place. The very first ski resort was established here in 1927 and ever since Gulmarg has been an epitome of skiing in the country. 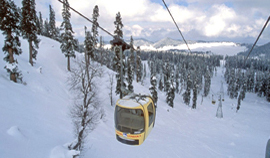 The town also takes great pride in owning Asia’s largest and world’s second largest cable car project called Gulmarg Gondola. 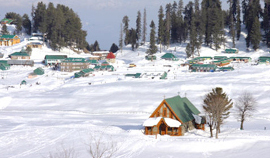 It connects Gulmarg with Aparwath Mountain, from where one can ski down on a long snow-trail. Shark Fin is another brilliant place for powder skiing in the town. Gulmarg also boasts about being the longest Golf Course in India. 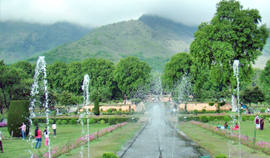 Set against a beautiful backdrop, it attracts a large number of visitors. 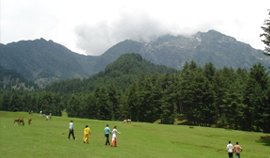 The picturesque landscape offers myriad of options for sightseeing in Gulmarg. 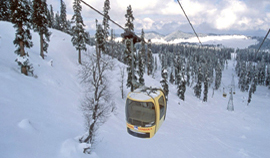 Places like Kongdori and Aparwath are well-connected through the Gulmarg Gondola. 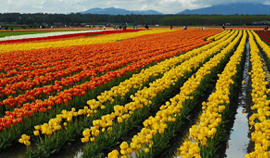 Scenic, as they can best be described, these fascinating places offer a panoramic view of the valley. 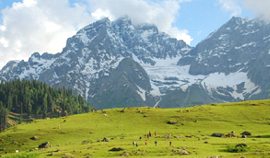 Khilanmarg is another spectacular destination situated in the vicinity of Gulmarg offering unmatched view of the Himalayan range. 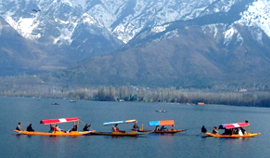 A frozen lake situated 13 kms beyond Khilanmarg also attracts attention as a popular tourist attraction in Gulmarg. 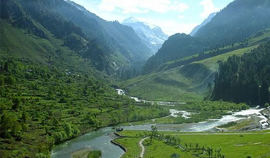 The virgin terrains of Nagin Valley and the sacred shrine of Baba Reshi sanctify this serene valley. 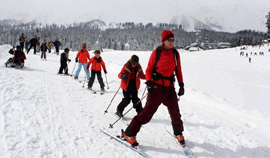 The undying spectacle called Gulmarg gives millions of reasons to travellers across the globe to throng here.